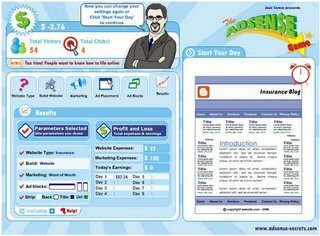 Joel Comm, best-selling author and AdSense expert created The AdSense Game, a Flash simulation designed to teach people how to make money online using Google AdSense contextual advertising program. Joel Comm is the co-founder of ClassicGames.com, which is now known as Yahoo! Games. Funny google again: Last crawled on Dec,1969 !!! Tony Blair googlebombed too ! Funny google search or Bush "failure" !! !